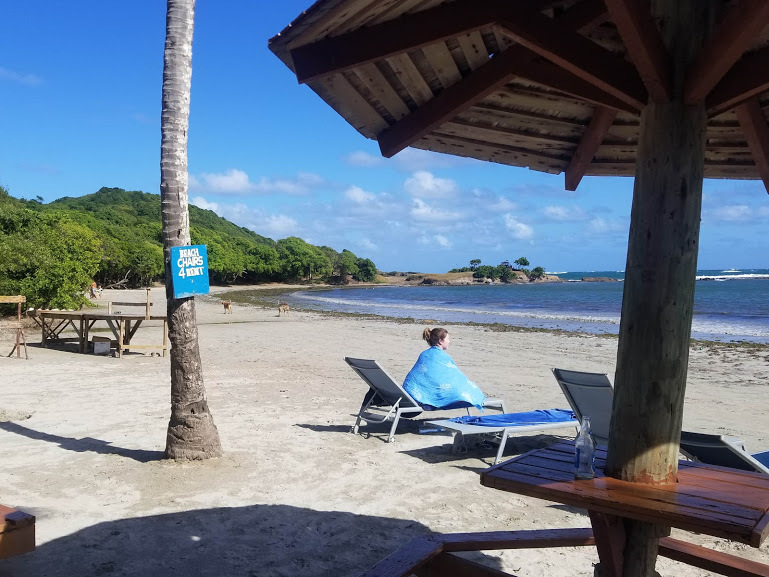 If you’ve been to the Caribbean, the concept of “island time” probably isn’t new to you, and know to expect a more relaxed atmosphere and general approach to life that is the furthest possible thing from being in a hurry. I was pretty familiar with this concept, and knew that getting around St. Lucia would probably involve a more leisurely pace, but I nevertheless managed to really underestimate a few things and encountered some pretty substantial bumps in the road. The first thing I’d suggest is being up front with people you encounter (and who are providing you transportation) when it comes to time tables or scheduling. I found all the St. Lucians I encountered to be really friendly, and more than willing to make every effort to accommodate tight schedules and get you where you need to be when you need to be there. When I told a cab driver I was in a hurry, he really stepped on it, and when I informed another driver of how late I was for a flight, he went fast enough for my self-preservation instincts to take my mind off the impending departure time. One of the major issues I did encounter was not bringing one of my guides fully up to speed on my scheduling situation. 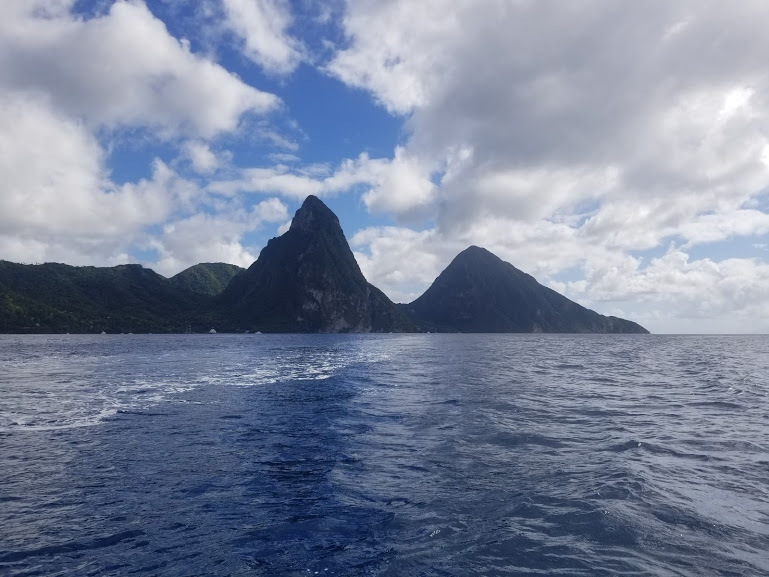 I arranged to have a guide service take me to the Petit Piton, one of the two iconic peaks on the southwest coast of the island, and get me to the top. This happened to be on the same day as my scheduled flight back home, which departed late in the afternoon. Beforehand, I had told the guide that I was on a fairly tight schedule, and made sure to ask how long the climb would take. The guide was of course helpful and provided me with all the information I requested. Problems arose however, when I realized I had not shared the specific information about my departure time with the guide, and that he did not share quite the same feeling of urgency as I was experiencing. Unfortunately, by that time, it was far too late to remedy the situation. The guide ultimately did his best to get me back as quickly as he could, but as he had arranged my excursion in tandem with another one of his tour groups being transported elsewhere, it wasn’t much help. The intelligent thing to do would’ve been to share all my scheduling concerns for the day with him at the outset, so he knew just how close I was trying to cut it, and could advise and plan for my ludicrous ideas more appropriately. Another thing to keep in mind when planning your travel around the island is that while traveling by car is the quickest, most economical, and most reasonable way to get around, it is still neither fast, nor cheap. A car from the airport, on the southernmost point of the island, to Gros Islet, at almost the northernmost point of the island, will run you somewhere in the neighborhood of 100 to 120 USD, and will take every bit of an hour and a half. This isn’t because people drive excessively slow, or that there is a lot of traffic, it’s just how long it takes. On the way north, my driver wasn’t in a hurry and was pointing out a few things as we made the journey, but wasn’t going what I’d consider “slow” by any means. The trip took just about an hour and 30 minutes. On the way south, I was in a massive hurry, and my driver went about as fast as was possible given road conditions and the type of vehicle. I mean that in all seriousness – any faster and the van probably would’ve rolled into a ravine, but as this was at my request, I was fully prepared to face the consequences of meeting my demise in a minivan. If that trip wasn’t a new speed record for the island, I’d be disappointed. Our driver was the St. Lucian Lewis Hamilton. It took about an hour and 15 minutes. The important thing to note is just that there isn’t a lot of time to be saved on any trips around the island. There’s probably only one road to where you’re going, and if Google or your hotel says it takes an hour and a half, it’s going to take an hour and a half. Or 75 minutes if you want to risk life and limb. And it’s of course going to be expensive. Like many other islands in this part of the world, imported goods can be pretty expensive, including gasoline. That, or the drivers on the island have just reached an accord to stick to that story, and keep prices high all around, in which case, their solidarity is commendable. By comparison to airport trips running the entire length of the island, even 15 minute trips to nearby beaches were around 20 USD. And whatever you do, try to make sure you’ve got cash on you to pay for your cab ride. This seems like common sense, but it’s easy to forget now that credit cards are accepted pretty much everywhere. St Lucian cabs have not followed this trend, and in my limited experience, it was cash only unless the transport was part of a tour. Fortunately, the drivers are friendly and ATMs are pretty accessible in most parts of the island, so they’re happy to adjust course to make a stop at one. St. Lucia is a stereotypical Caribbean island, which is to say the weather is great and the scenery is incredible. It’s not very large when you look at it on a map, but don’t make the mistake of thinking it will be cheap and quick to get around. And don’t leave your Gros Islet hotel 70 minutes before your departure from Hewanorra International.